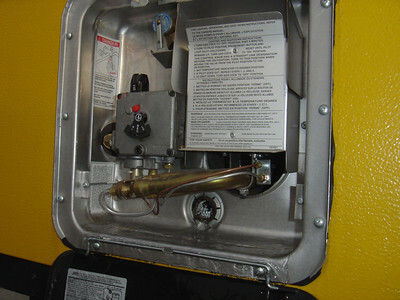 The next step is to ensure the hot water heater is drained completely. 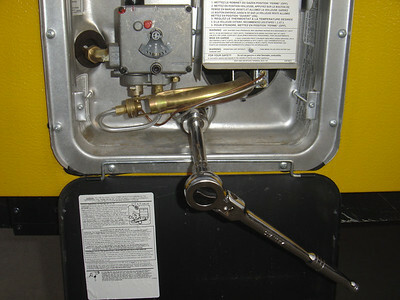 Open the door that you use to light your water heater. Find the large brass plug at the end of the sacrificial anode. 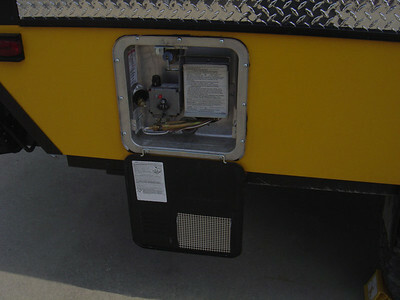 It is located at the bottom of your hot water heater. Using a 1/2" drive, a 6" extension and a socket (I needed an 1 1/16"), remove the large brass plug of the sacrificial anode. 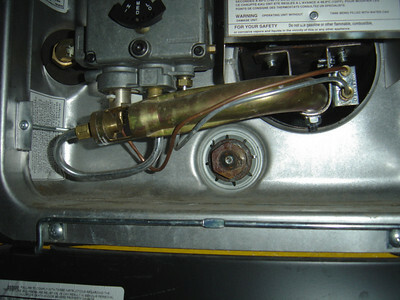 This shows water draining from the water heater. 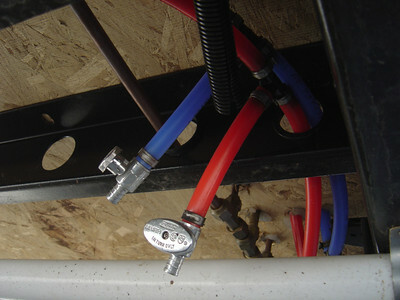 While not part of winterizing, you should clean out any sediment that is inside the hot water tank. 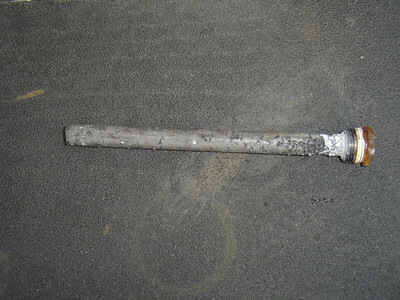 While not part of winterizing it is a good time to inspect the sacrificial anode and order a replacement if needed. 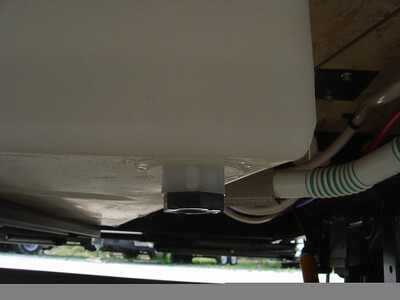 Remove the plug at either the bottom or side of the fresh water tank and drain the water. 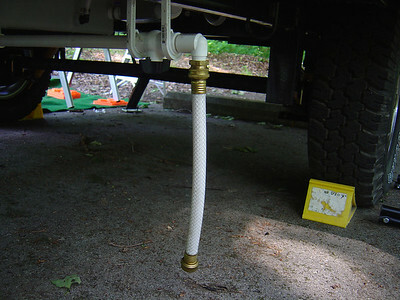 If you have a side drain you can either drive around to some of the residual water out or use a suction pump. A little residual water is not a problem. 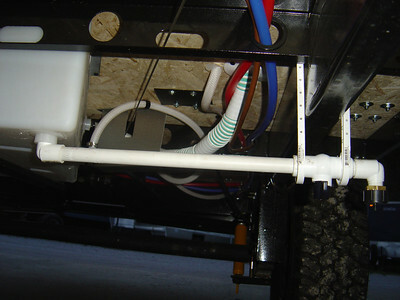 In my case I added a secion of PVC pipe with a ball valve so that it is easy to empty the tank. The fresh water can be drained into a gray water tank or unto the ground.